The W Rockland St Project | What one Philadelphia city block can do to change its future. Learn about a new collaborative public art project being created in the large vacant lot at the corner of W Rockland and Greene Streets. The W Rockland Street Project has teamed up with the City of Philadelphia’s Mural Arts Program to activate and beautify the space with a mural, a community bulletin board, new plants, and more. The project will be completed during the summer months of 2015. Learn how you can get involved. Local media has turned it’s attention to development in Northwest Philadelphia’s Germantown neighborhood this week as journalists reported on the fate of the historic YWCA building. Here’s my letter to The Inquirer in response to architecture critic Inga Saffron’s take in her weekly column. If you are wondering what’s behind that giant black screen at 6350 Germantown Avenue, I can tell you it’s not a junkyard. The property is the studio of visual artists Kate Kaman and Joel Erland. The 100 block of W Abbottsford in Germantown got a little love and affection from the Street Department this summer as potholes in the street, which is paved entirely in red brick, were repaired. See photos! Nuisance businesses and commercial blight can be a real problem in cities. Here, we look at one example of a business operating unchecked, with no regard for the rules and regulations put into place to protect the community. Learn how to tackle problems like this yourself. A few scenes of snowy W Rockland Street from the third-floor window of our house. Friend of the TTF Watershed: Aine wins an award! Women’s Community Revitalization Project (WCRP) has proposed building 35 new affordable town homes on vacant woodsy land in East Germantown. Check out the design plans and learn about the tenant selection process. Crowdfunding to save the W Rockland Street Community Garden. We need you! The W Rockland St Project has launched a crowdsourced fundraising campaign to remove a sick tree from the vacant lot turned community garden that’s threatening the 2014 growing season and neighborhood gathering space. Sidewalk gardens and planters are a motivating tool against blight, help to establish neighborhood identity and set a beautiful curbside example. W Rockland St has over 15 planters lining the sidewalk. Learn how to make it happen on your block. Picking up trash can actually be fun. Armed with a list of commonly littered items from cigarette butts to fast food packaging, kids collect and learn about the trash tossed aside in our community. Download our checklist and plan your own litter scavenger hunt. New feature exploring planning and development issues. 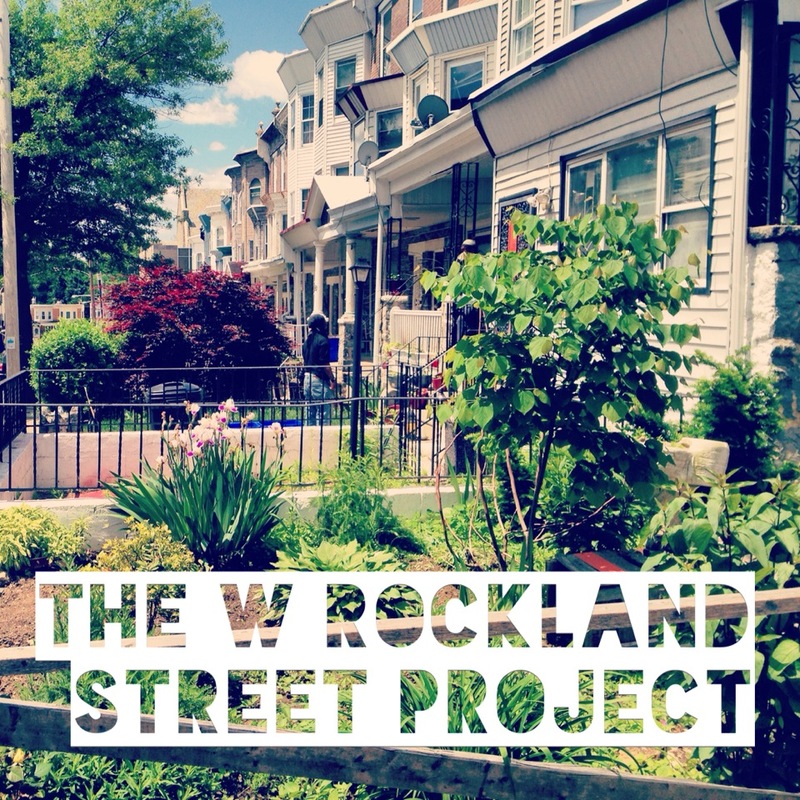 The W Rockland Street Project is a volunteer-driven effort to revitalize one Philadelphia city block through community organizing and small-scale urban interventions. With a do-it-yourself spirit and low-cost high-impact approach, the grassroots initiative builds community and creates change you can see. 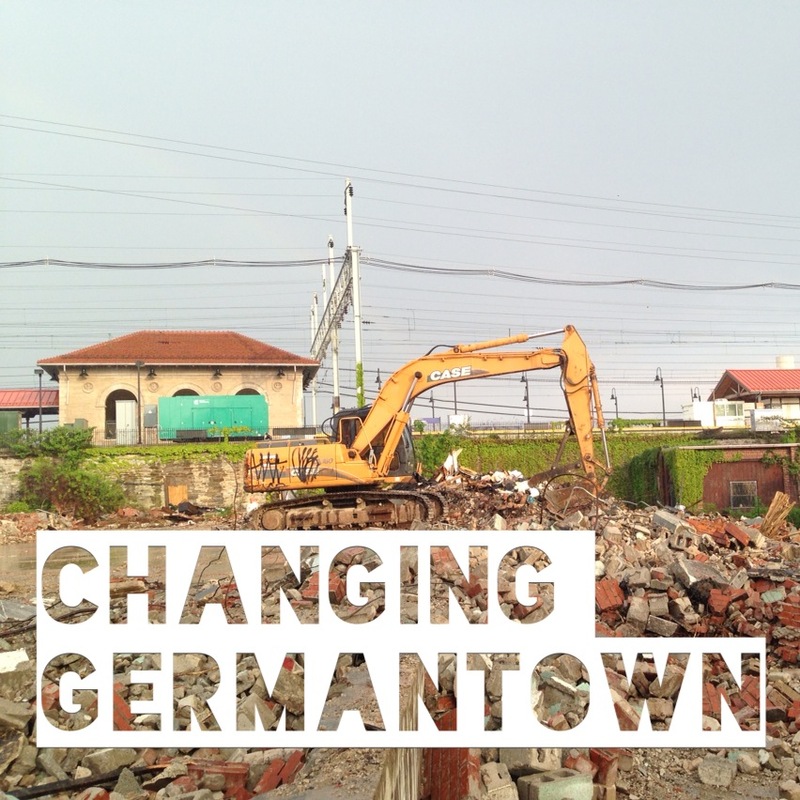 rocklandstreet.com shares stories from the block, along with updates from Changing Germantown – our new feature exploring planning and development issues. The project is spearheaded by Aine and Emaleigh Doley, sisters and longtime block residents.